There is a widely circulated legend:In the ancient Silk Road, the transporter of tea caravan encountered rain, then the tea was wet and in the end the transporter threw away with desperation. Rampant dysentery them to a village, many people without food and water died. Tea merchants would like to bring their own tea mildew, and is worthless, they give them to these poor families. Results miracle occurred in the village all good people of dysentery village people dysentery completely gone. In fact, an emergence of Hei Cha than the legendary much earlier. 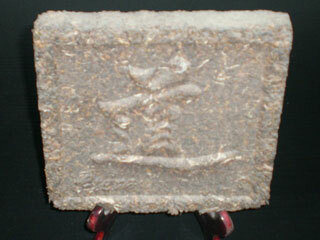 According to "History of the Ming Food and Money," it reads: "Shenzong Wanli thirteen years (AD 1585) ... ... Tea is exchanged for horse, but Hanzhong is quiet, Hunan tea, it is cheap, cross-border private and selling contraband tea merchants." 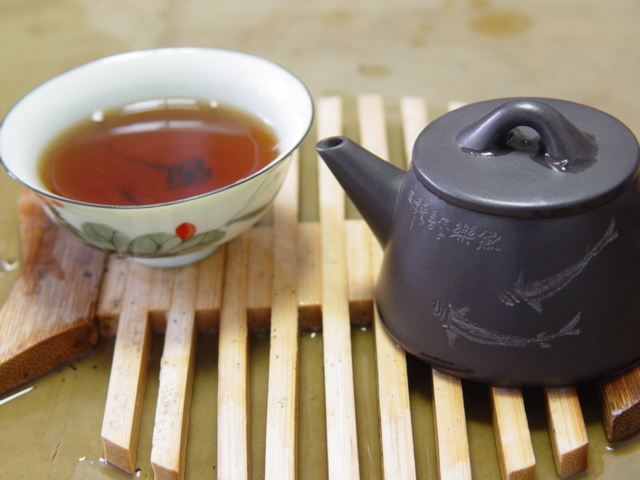 According to Sichuan tea manufacturing methods, AnHuas at early stage of the Ming Dynasty (15 century) refer to Ukraine in and improve and finally made into Heicha. Ukraine is a steaming green tea (boiling) tea, Hei cha is a crank (pan fry ) tea, compared to Hei Cha to get rid of the Leaf gas, alcohol taste, there are pine incense smoke, but also by the various ethnic groups welcomed the Northwest . At that time, Tibetan lamas often pay tribute to the capital Buddha invited reward. Back to Tibet, the Ming court admire many gifts, of which tea is the staple, the designated officer positions allocated by the Sichuan, but the monks who had bypass Hunan and Guangdong to purchase private tea. Most Hei Cha fit their taste. The basic process is to fixation , rolled, moisten the heap and dry. 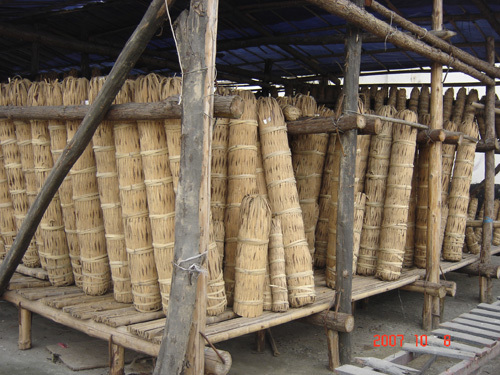 The coarse material of Hei Cha is old, coupled with the manufacturing process often piled up a long fermentation time, thus leaf color seems black or dark brown oil, so that called Hei Cha. 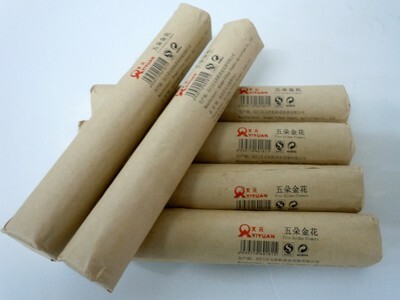 It is primarily for ethnic minority border areas, so called Bianxiao Cha. Black Mao Cha is the main raw material to suppress a variety of pressed tea, all kinds of pressed tea black tea is a Tibetan, Mongolian, Uygur and other fraternal peoples daily necessities, there are a saying "better day without food, not get along without tea ". 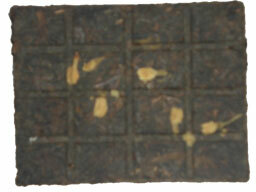 Due to the differences of area and process, there are Hunan, Hubei, Sichuan, Yunnan and Guangxi tea and Guizhou Hei Cha. 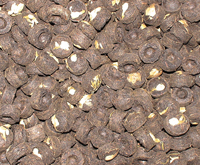 Hei Cha contains rich nutrients, most notably vitamins and minerals, plus protein, amino acids, sugar substances. Hei Cha has activity in tea polysaccharide-rich blood to reduce blood fat and the role of peroxidase . Hei Cha not only rich in antioxidant substances such as catechins, tea pigments, flavonoids, vitamin C, vitamin E, D a-carotene, etc., but also contains large amounts of an antioxidant effect of trace elements such as zinc, manganese, Copper (SOD composition of elements) and selenium (GSHPX the composition of elements) and so on. Its catechins, theaflavins, theanine and tea polysaccharides, in particular the more complex content of flavonoids and so has the function of scavenging free radicals, which has anti-oxidation, delay cell senescence. Hunan Agricultural University adopted modern drug screening cutting-edge technology of high-throughput screening technology for Hei Cha for cancer SGC7901 cell model of high-throughput screening studies to prove that Hei Cha on tumor cells significantly inhibited. Tea playing a role in lowering blood pressure has long been reported. Recently, the Japanese reported that tea in the unique amino acid theanine through the activation of dopaminergic neurons, play an inhibitory role in blood pressure. Also the caffeine in tea and catechins can relax blood vessel walls, increasing the effective diameter of blood vessels, decreasing blood pressure through vasodilation Er Shi. F, Fu Hing Chinese tea pigments such as found in significant anticoagulant, promoting fibrinolysis, platelet adhesion to prevent the aggregation, inhibit the role of arterial smooth muscle cell proliferation, but also significantly reduce the high-fat animal serum triglycerides, low density lipoprotein, improve serum high-density lipoprotein, and ACE enzyme significantly inhibited the antihypertensive effect. Hei Cha in tea polysaccharide complex is the main component of lowering blood sugar. Tea polysaccharide compounding commonly referred to as tea polysaccharide, is a complex and changing class composition of a larger mixture. Several kinds of tea in tea polysaccharide determination showed that the highest content of black tea in tea polysaccharide, and their active components are also stronger than other teas, it is because in fermented tea, due to glucosidase, protease, hydrolase role, while the formation of a relatively short length of the sugar chain and peptide chain has resulted in a longer peptide chain peptide chain is more easily absorbed, and the greater biological activity, which may be fermented tea, especially Hei Cha excellent hypoglycemic effect of polysaccharide one of the reasons of other teas. 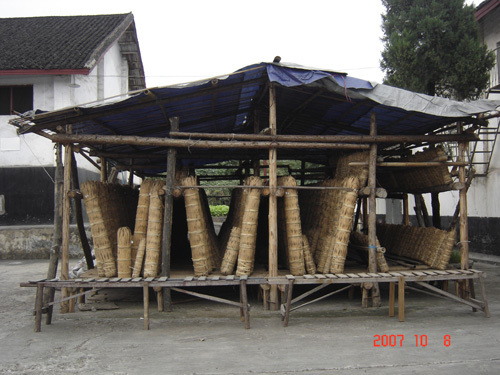 The major components of Hei Cha liquor color is theaflavins and thearubigins. Studies have shown that theaflavins is not only an effective free radical scavenger and anti-oxidants, but also on the bud botulinum bacteria, intestinal Bacteroides, Staphylococcus aureus, capsular bacteria, Bacillus cereus has obvious antibacterial effect. In addition, theaflavins influenza viruses, rotavirus and enterovirus infections have a certain extent. Hei Cha caffeine in diuretic function is the promotion of urine through the kidneys filter out the water rate achieved. At the same time, caffeine's stimulating effect on the bladder to help both diuretic and helps to sober up, lift the liquor poisoning. 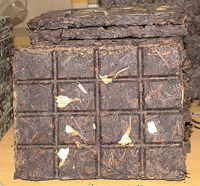 Meanwhile, the black tea polyphenols in tobacco, nicotine not only can the precipitation, and excreted with the urine, but also to clear the smoke in the free radicals and reduce the toxic effects of smoke on the human body. For the heavy metal toxins, has a strong adsorption of tea polyphenols, and they tend to drink tea can also alleviate the toxic effects of heavy metals. 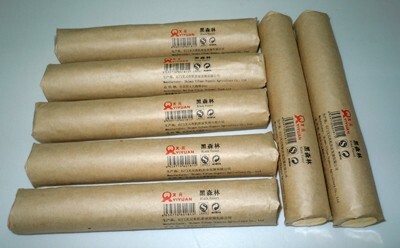 A USA customer import Fu tea from our company constantly. She fed the message back to us is Fu tea is very effective to the patients, and she will visit our company and would like to reach further cooperation with us. We can also supply the Fu tea exact such as capsules.